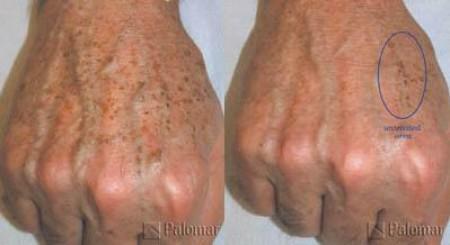 IPL for men is a great solution for red or brown spots, broken capillaries and other pigmented lesions. These age spots appear as we age and are a sure giveaway that this isn’t your first trip around the golf course. With Intense Pulsed Light (IPL) technology we’re able to selectively target the pigmented areas, bring that pigment to the surface, and then allow it to naturally slough away. The procedures are fast, easy, and well-tolerated. With IPL for men, you’ll notice a significant difference within a week after your first treatment. If more lightening is needed additional treatments will do the trick. 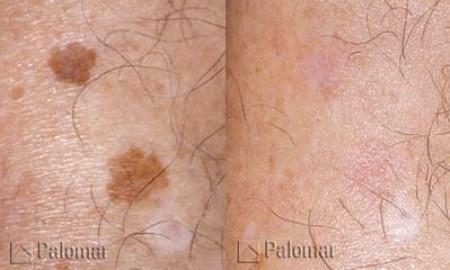 Many men undergo two to four laser spot removal treatments to achieve the results desired. The cost of laser spot removal depends on the size of the area and the number of treatments. Prices range from $150 to $650 per treatment. Package pricing is available at a significant discount.